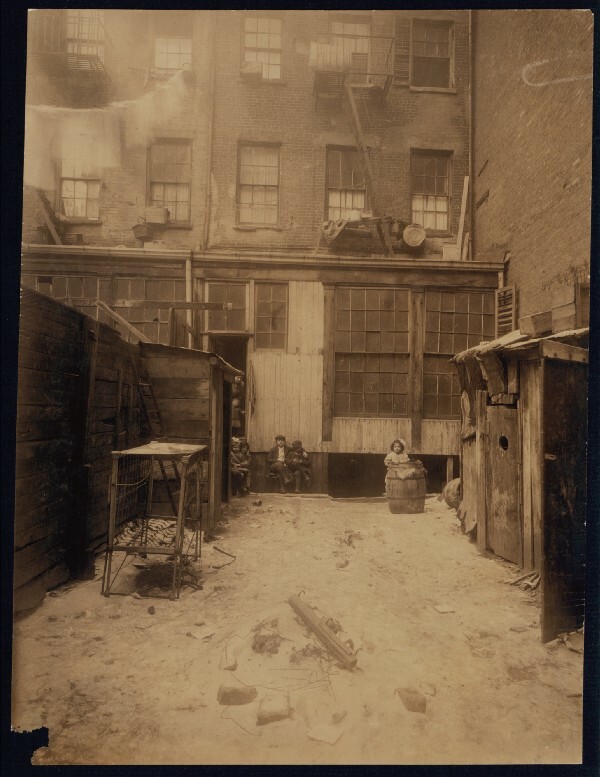 By 1900, the majority of New Yorkers — some 2.3 million people — lived in tenement apartments. 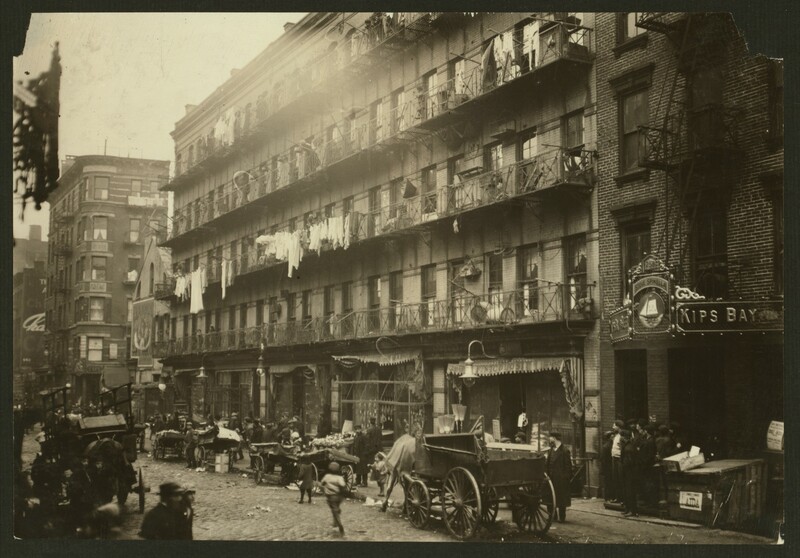 The tenements were single-family buildings that had been cheaply converted to tiny multi-family units, intended to house the maximum number of people possible — mostly immigrants from Italy and Eastern Europe, who were flooding into the country at that time. 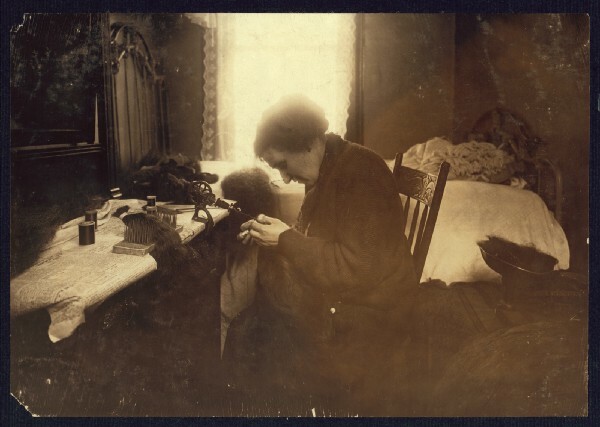 However, the cramped quarters weren’t just for eating and sleeping: they were also a place to work, especially for women and children. 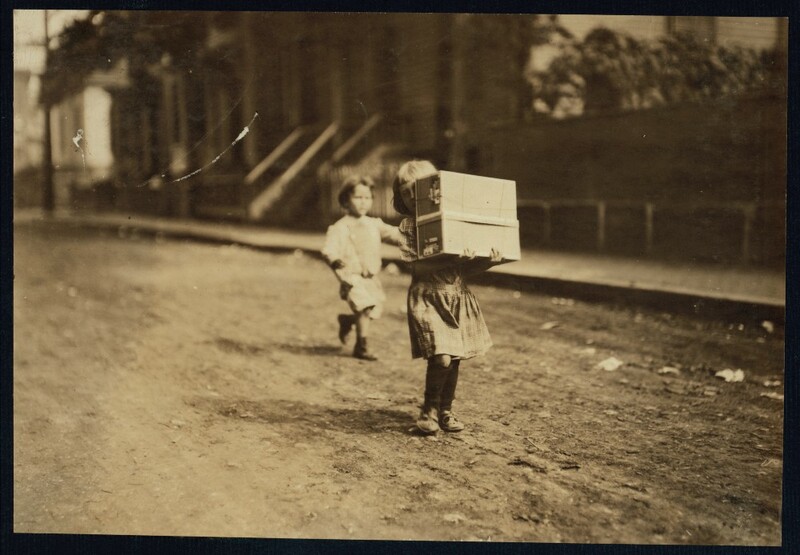 This invisible work may have gone forgotten if not for the photographs of Lewis Hine. 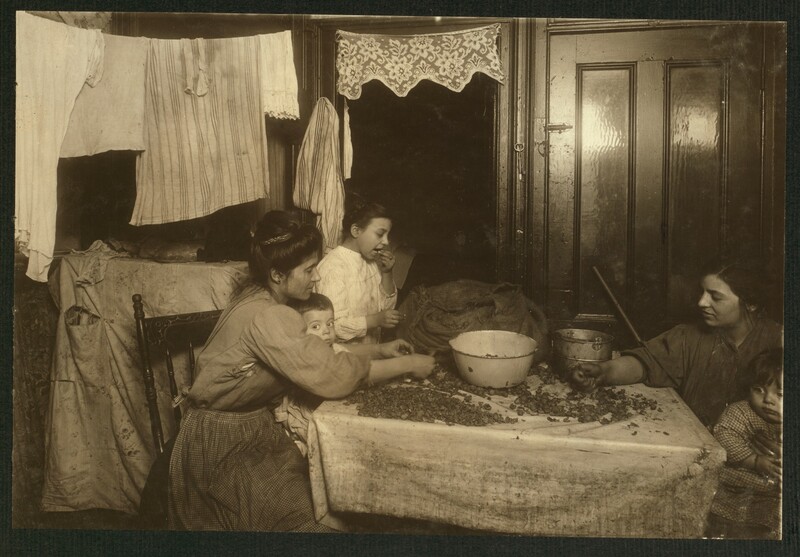 Hine’s first photography job was with the National Child Labor Committee (NCLC), where one of his early assignments was to document tenement homeworkers. 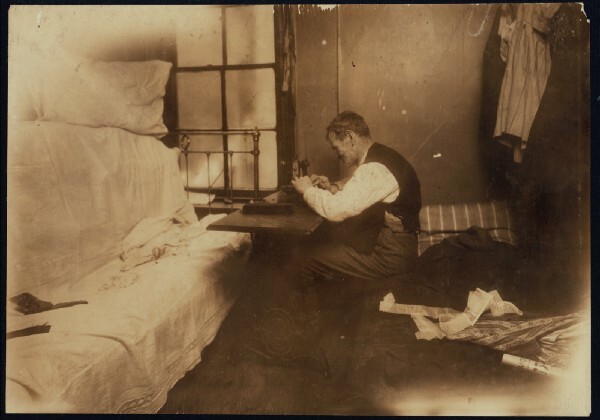 Through this work he found a shadow economy hidden behind closed doors, violating the sanctuary of the home. 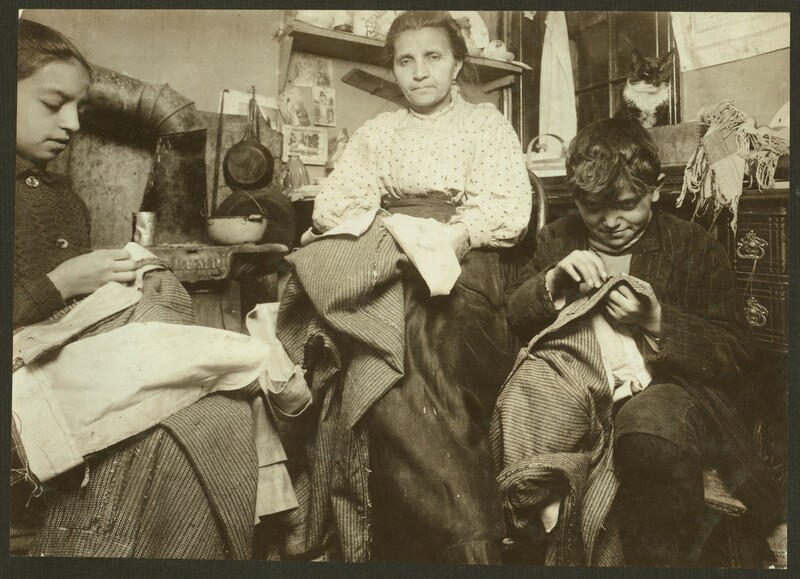 Desperate to supplement meager incomes, women picked up piecework, such as finishing garments or preparing knickknacks for store shelves. 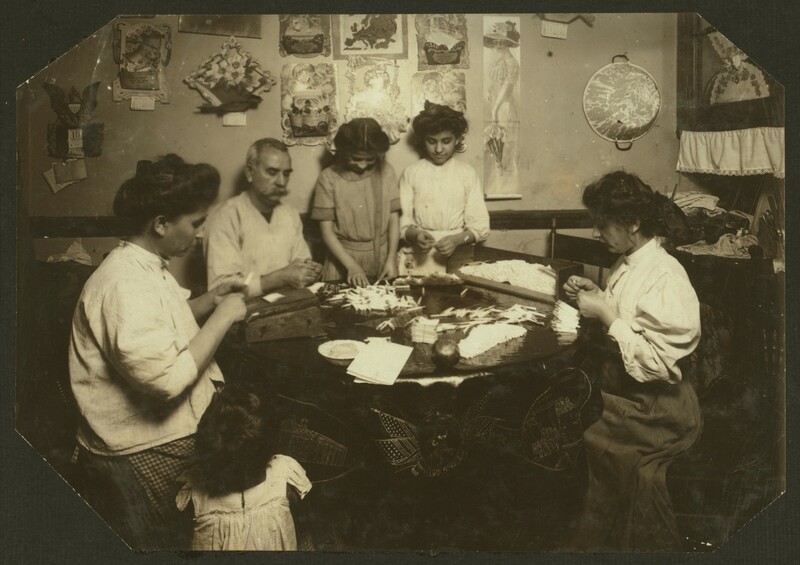 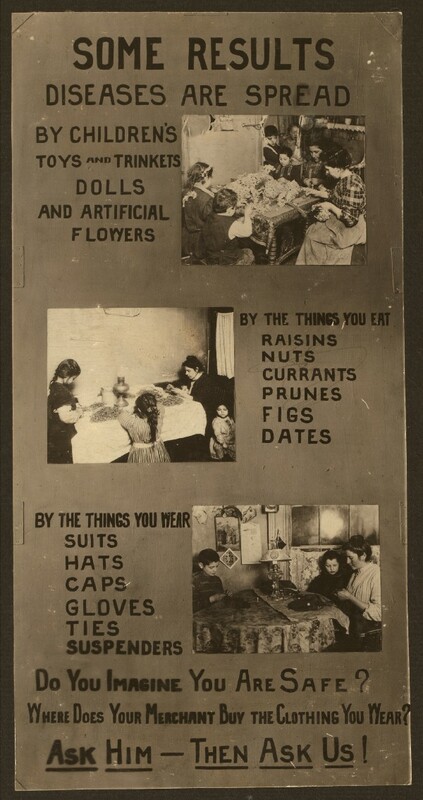 Hine’s photographs show women and children, hunched in dim rooms in cramped apartments, sewing buttons onto pants, shelling nuts, or building artificial flowers. 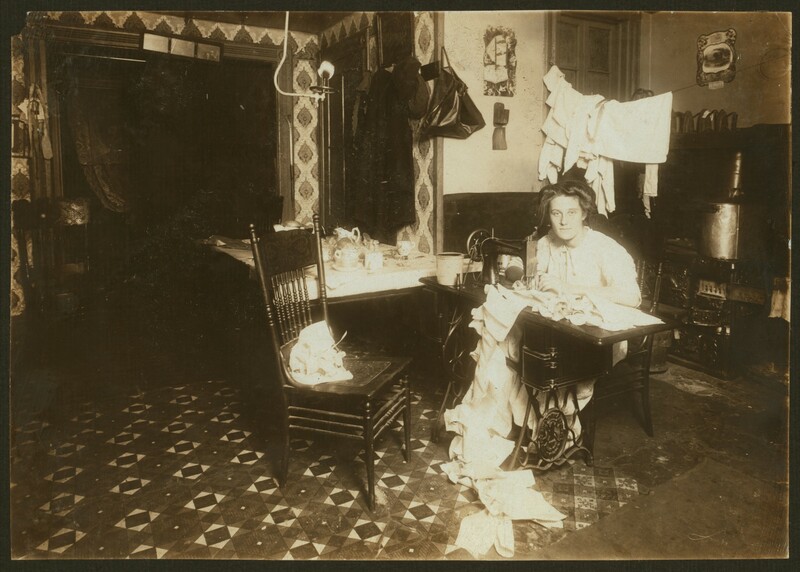 It didn’t matter how old, how young, or how sick you were — the money was paid by the piece or measurement, so everyone in the family pitched in to churn out as much work as possible. 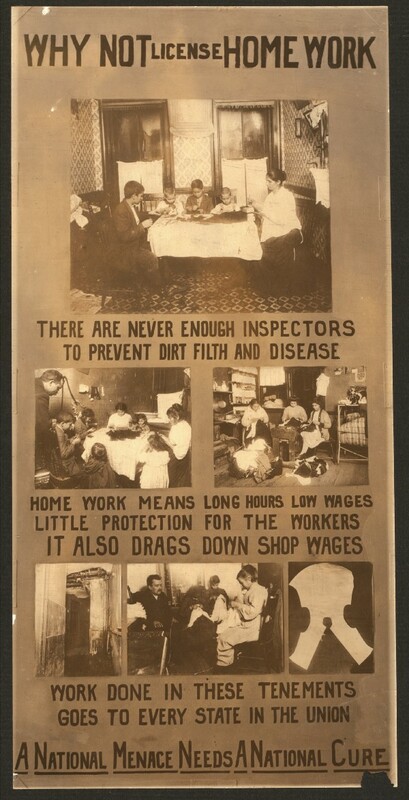 The NCLC used Hine’s work to advocate for labor laws. 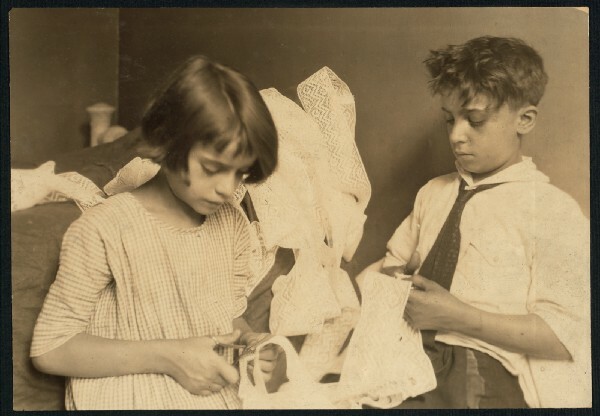 His series on child labor helped build support for more regulation. 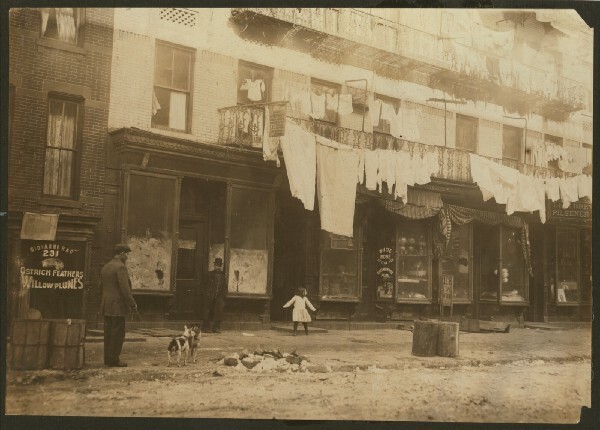 Cities were also trying to combat outbreaks of infectious disease in their most crowded, poorest districts. 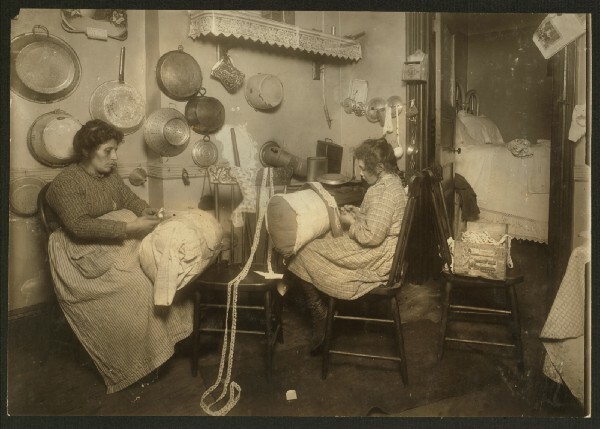 The state of New York introduced licensed tenements, which allowed a landlord to apply for a permit and, once a building passed a health inspection, all units inside could legally be personal sweatshops. 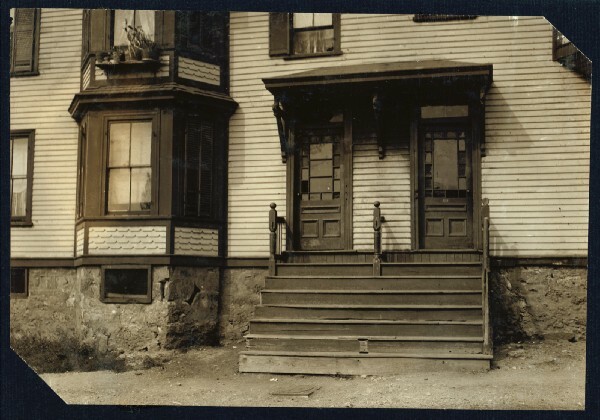 By 1911, some 13,000 addresses had been registered. 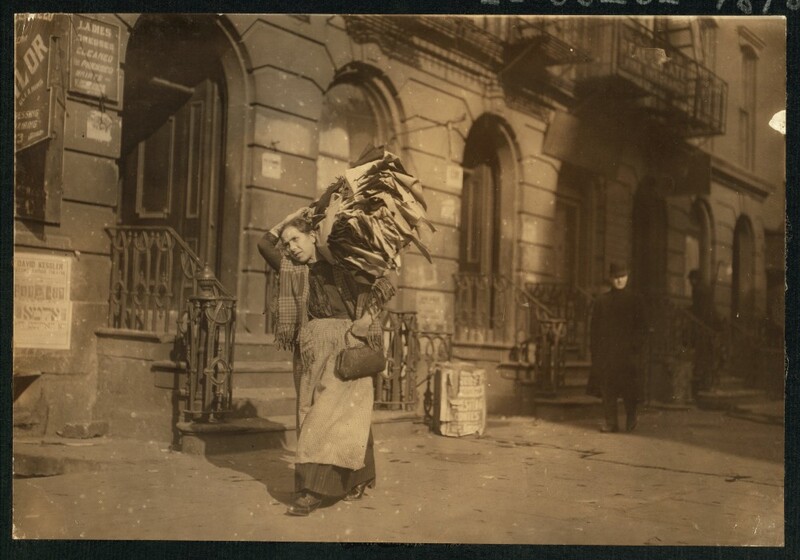 Every licensed tenement was subject to two annual health inspections, and manufacturers were required to keep records of where their finishing work was being done, but the understaffed Bureau of Factory Inspection faced an impossible task and often fell behind on these inspections. 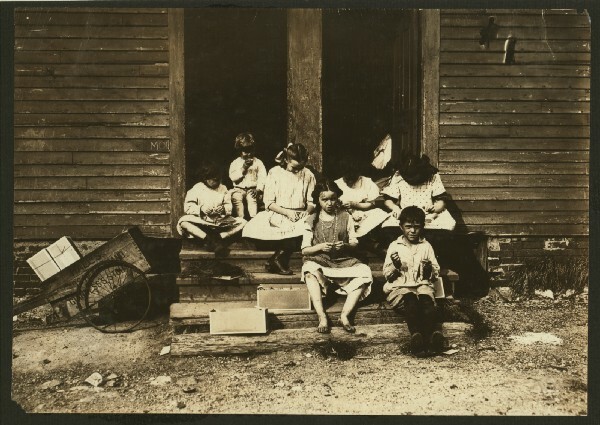 To make matters worse, the law governed only specific products — including vests, suspenders, purses, and cigarettes — and services such as packing boxes of macaroni, candy, and nuts. 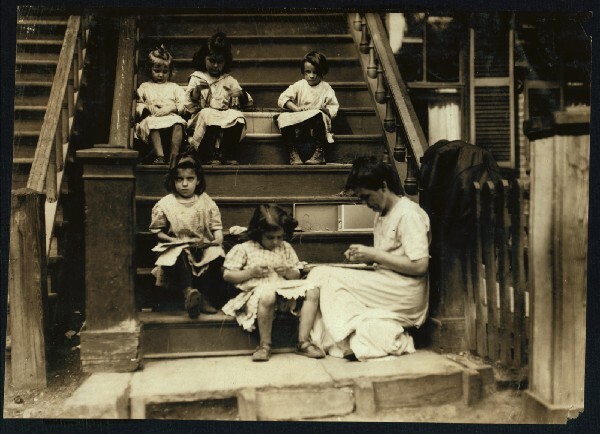 Anyone living anywhere could legally take on work making baby bonnets and lace, knitting mittens, or beading necklaces. 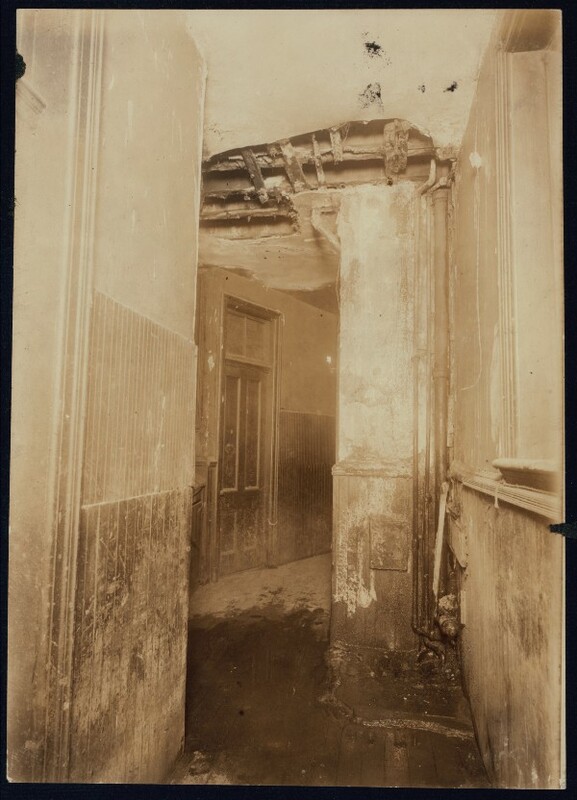 Inspectors also had little legal authority beyond revoking a permit because of a building’s poor sanitation, or reporting a family for truancy if kids were home during school hours. 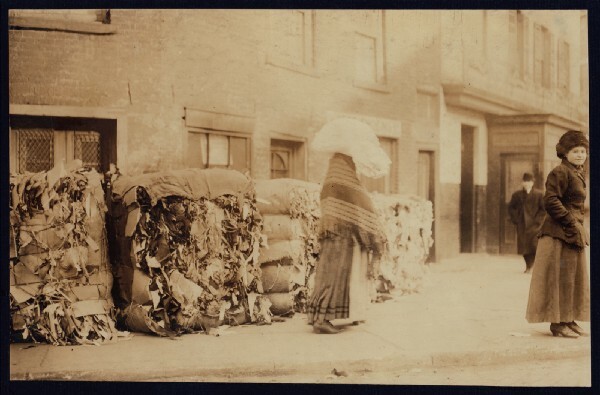 The residents of the tenements, licensed or not, were suspicious of social workers and government inspectors who came calling, and entire buildings would sound an alarm to give homeworkers time to hide any contraband. 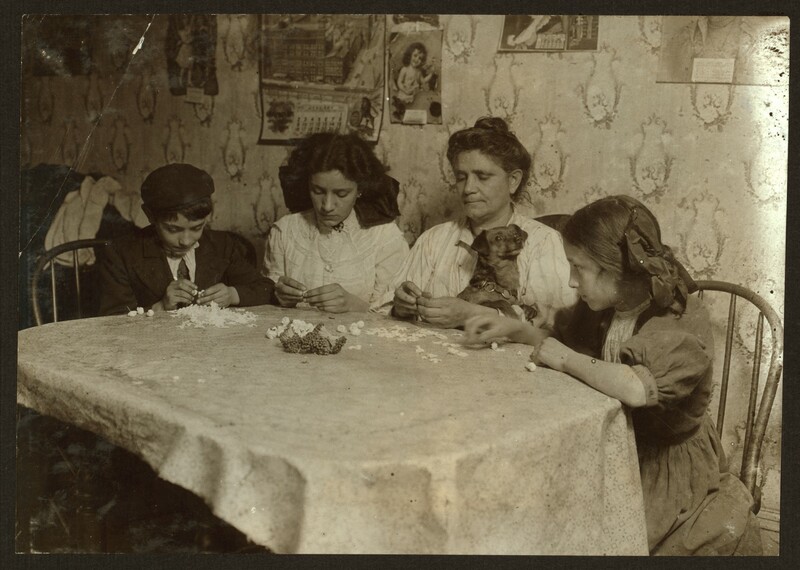 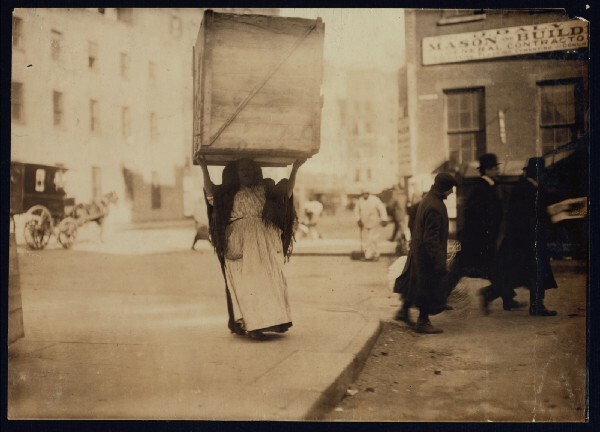 The sad reality was that the thousands of Italian, Jewish, and German immigrants who dominated the official 1911 licensed tenement rolls needed to toil for long hours and little pay just to keep a roof over their head and a meal in their belly. 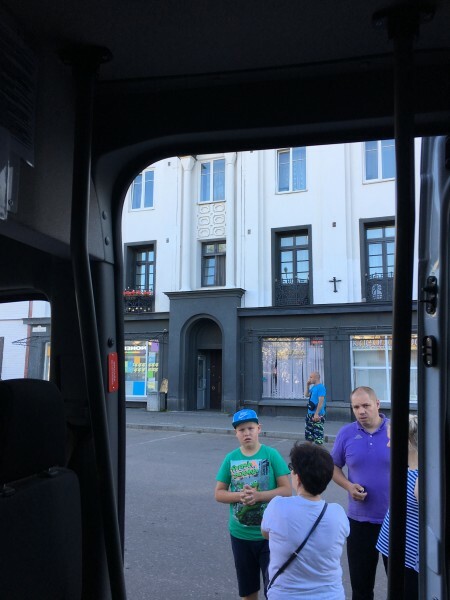 They understood that the factory bosses were taking advantage of their desperate situation, but they couldn’t do anything about it.